HOUSTON – Trial lawyer Demetrios Anaipakos, partner in Ahmad, Zavitsanos, Anaipakos, Alavi & Mensing P.C. or AZA, is named as one of only 27 lawyers listed by international publication Who’s Who Legal as a top litigator in Texas. The prestigious group of 27 Texas lawyers named as top litigators in the state is from Big Law or elite litigation boutiques. “I’m pleased to be named by clients and peers and in such good company,” Mr. Anaipakos said. Mr. Anaipakos is a seasoned trial lawyer recognized for his prowess at representing both plaintiffs and defendants in patent litigation and complex commercial litigation. He is Board Certified in Civil Trial Law by the Texas Board of Legal Specialization, a distinction reserved for Texas lawyers with a high degree of trial experience and expertise. His high-profile cases and courtroom victories have attracted statewide, national and sometimes international acclaim. Mr. Anaipakos also is recognized for his general commercial litigation work by the highly respected Chambers USA: America’s Leading Lawyers for Business. He has been recognized by attorneys across the United States by The Best Lawyers in America for commercial litigation. He was named in 2017 by IAM Patent 1000 – The World’s Leading Patent Professionals as one of the best patent litigators in Texas. 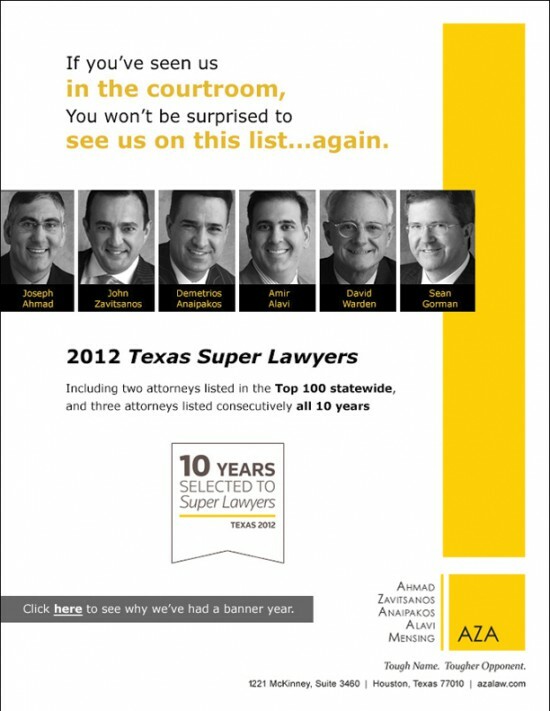 Mr. Anaipakos also has made the Texas Super Lawyers list each year since 2004 and repeatedly has been included on the Top 100 Houston Super Lawyers list. Mr. Anaipakos also has earned a “distinguished” rating by Martindale-Hubbell, the premier legal directory in the United States. He has been selected as a Benchmark Litigation Star since 2016.